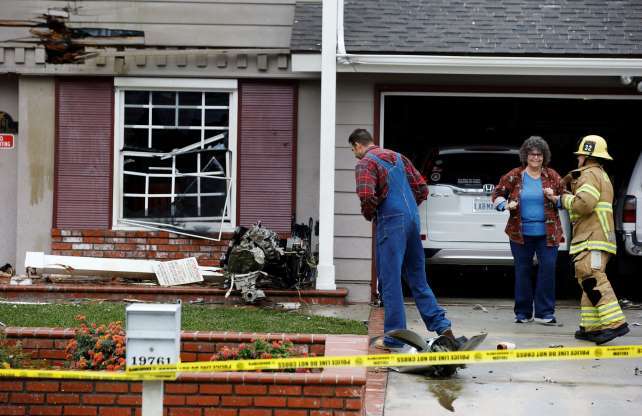 Two dead, two hospitalized after small plane crashes into a California house. Firefighters responded to the scene of a plane crash Sunday afternoon in Yorba Linda, where the small Cessna was believed to have plunged into a two-story house, setting it on fire, authorities said. 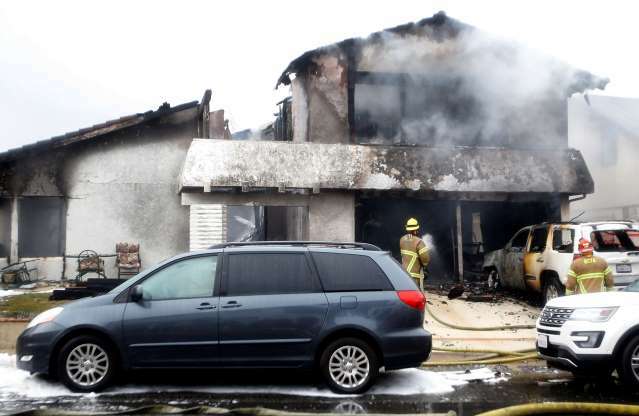 Two people were reported dead and two others were taken to a hospital, according to the Orange County Fire Authority. A call about the crash on Canyon Drive came in at 1:45 p.m., said Carrie Braun, a spokeswoman for the Orange County Sheriff’s Department. She did not have information about what may have led to the crash. 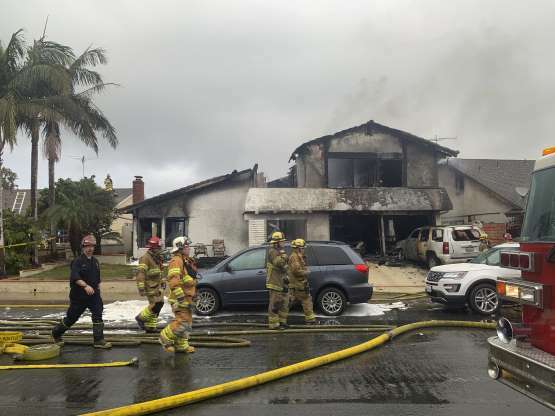 The Cessna 414A had recently taken off from the Fullerton Municipal Airport before the crash, said Allen Kenitzer, a spokesman for the Federal Aviation Administration. He said the FAA and the National Transportation Safety Board will investigate the crash. A person who answered the phone at Fullerton Airport Operations, but declined to give his name, said the pilot was known to visit the airport frequently. 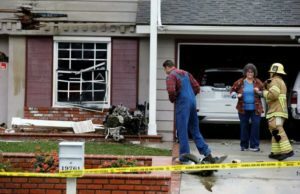 A resident talks to one of the firefighters as they work the scene of a deadly plane crash in the residential neighborhood of Yorba Linda, Calif., Sunday, Feb. 3, 2019. The Federal Aviation Administration said a twin-engine Cessna 414A crashed in Yorba Linda shortly after taking off from the Fullerton Municipal Airport. Joshua Nelson, 28, said he was about to take a nap when he heard a shrill whistling sound and a loud bang outside his home on nearby Crestknoll Drive. The ground shook. He hopped out of bed, ran out the front door and saw a plume of black smoke. Nelson began recording a video on his phone before he had any clue what was going on. He soon learned that a propeller had landed in the front yard of a house three doors down, smashing windows but not harming anyone inside. Seven doors down, a house was on fire. Nelson said he’s not used to seeing many of his neighbors; it’s a quiet community where people keep to themselves. But when the plane crashed, residents seemed to spill from their homes in unison. Around 4 p.m., Nelson’s street was sectioned off with caution tape and choked with news and fire trucks. His family canceled their Super Bowl party. “I would never expect anything like this to happen here,” he said. Nike Latest shoe design looks like the word Allah, some muslims say. Nigeria Election : Full Text Of President Buhari's National Broadcast.